Using the service www.fiskano.nl privacy-sensitive information known as personal information gets processed. Fiskano.nl considers a careful handling of personal data of great importance. Because of this we carefully process and secure all personal data. In our processing we conform to the Personal Data Protection Act (PDPA). Fiskano is responsible for the processing of personal data. Because our process procedure fits well within the demands of the Personal Data Protection Act it is not submitted to the Dutch DPA. In this privacy statement we explain to you which personal data we collect and use and for what purpose. We advise you to read it thoroughly . This privacy statement is last updated at the 31th of oktober, 2018. The Fiskano website gathers general visitor data, among which the IP-address of your computer and the time of requests and data your browser sends. This data is used to analyze visitor- and clicking behavior on the website. Fiskano uses this information to improve the functionality of the website. This data will be anonymized when possible and will not be transferred to third parties. Google uses this information to track how the website is used, to create reports about the Fiskano website and to inform possible advertisers about the effectiveness of their campaigns. Google can share this information with third parties if they are legally required to, or when these third parties process the data by order of Google. Fiskano is not responsible nor has any hold on this process. Fiskano has not given Google permission to use Analytics data gathered via the Fiskano website with other Google-services. If you submit a contact form on our website or send us an email, the data you send to us will be saved as long as the nature of the form or content of the email is needed to fully answer and process it. We collect your name and address particulars, phone number and email. When you create an account on this website you will have to register. After your registration we save your chosen username and personal data. We collect this data so you don’t have to fill out the information every time you contact us. It also helps us when we need to contact you based on our contractual agreements, billing and payment, and to supply you with an overview of the products and services you have purchased from us. We will never share your username and personal data with third parties unless this is necessary to execute our customer agreement with you or when legally prohibited. In case we have a suspicion of fraud or abuse of our website we can hand personal data to the authorities. Cookies set by the website owner (in this case, Fiskano) are called “first party cookies”. Cookies set by parties other than the website owner are called “third party cookies”. Third party cookies enable third party features or functionality to be provided on or through the website (e.g. like advertising, interactive content and analytics). The parties that set these third party cookies can recognize your computer both when it visits the website in question and also when it visits certain other websites. We use first party and third party cookies for several reasons. Some cookies are required for technical reasons in order for our Websites to operate, and we refer to these as “essential” or “strictly necessary” cookies. Other cookies also enable us to track and target the interests of our users to enhance the experience on our Websites and Subscription Service. For example, Fiskano keeps track of the Websites and pages you visit, in order to determine what portion of the Fiskano Website or Subscription Service is the most popular or most used. This data is used to deliver customized content and promotions within the Fiskano Website and Subscription Service to customers whose behavior indicates that they are interested in a particular subject area. Third parties serve cookies through our Websites for advertising, analytics and other purposes. This is described in more detail below. We will never publicize your data. Fiskano is serious about the protection of your data and has fitting measures to prevent abuse, loss, unauthorized access, undesirable publicization and unauthorized edits. The Fiskano website uses a trustworthy SSL certificate to make sure your personal data does not fall into the wrong hands. When you have the impression your data is not secure, there are clues of data-abuse or you want more information about the security of personal data stored by Fiskano, please contact Fiskano via info@Fiskano.nl. 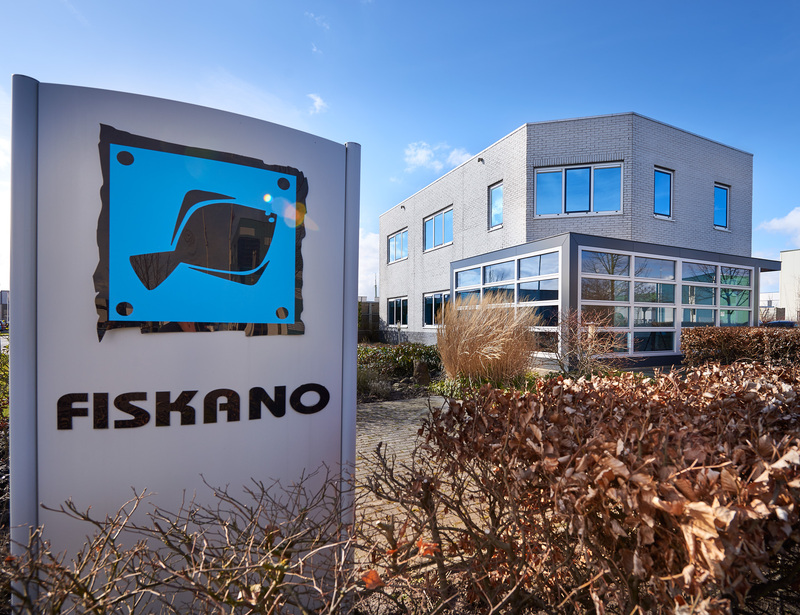 www.fiskano.nl is the website of Fiskano.